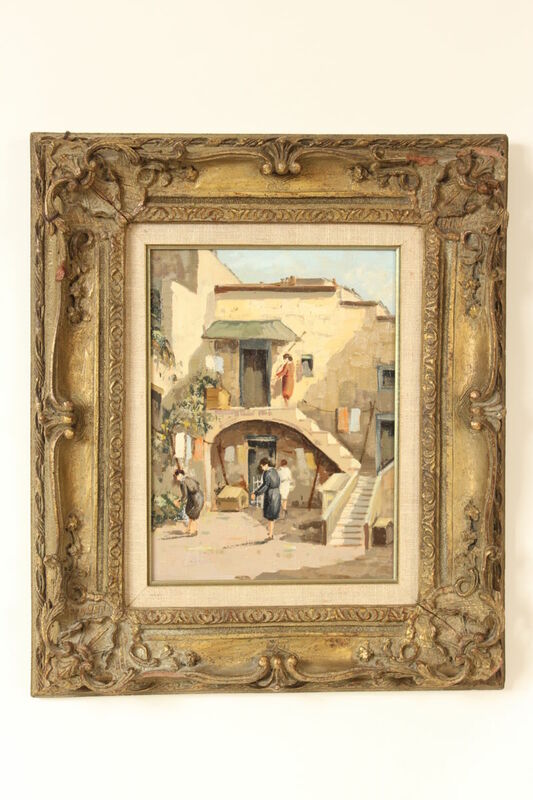 European town scene painting, signed P.G. Corno, mid 20th century. Oil on board. Frame dimensions, height 19.5″ width 16.5″. Dimensions of painting, height 12″ width 8.5″.